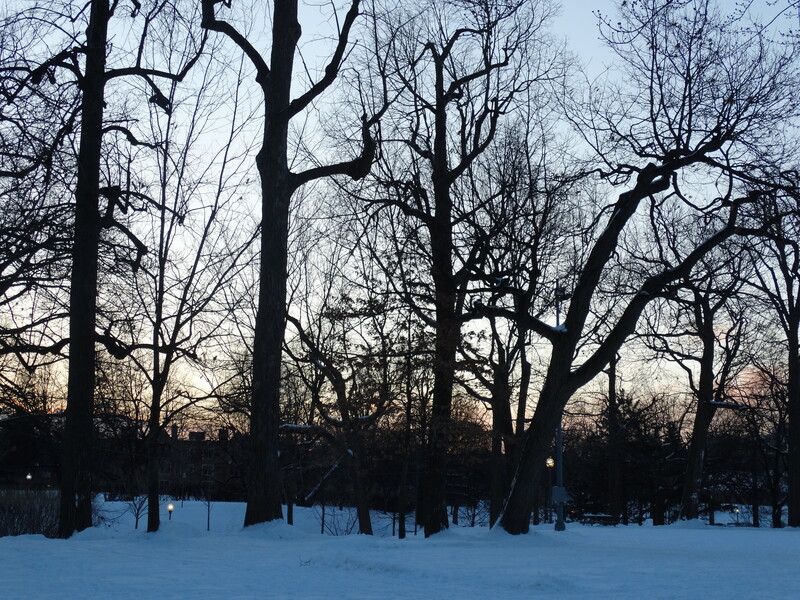 A beautiful winter sunset over Westmount Park. 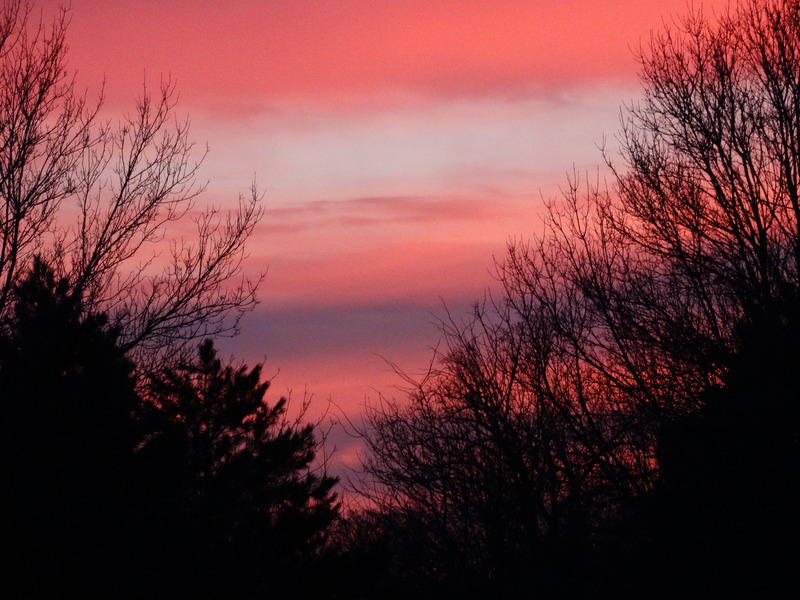 It didn’t last very long; however, the entire sky was painted in various shades of pink. Six town houses, known as “The Towers”. 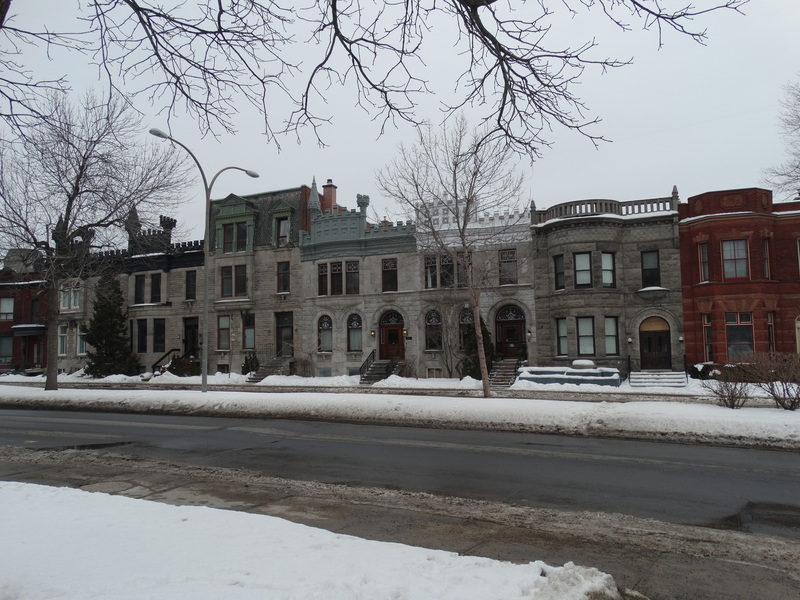 Built in 1850 for Edward Evans an accountant for the City of Westmount. 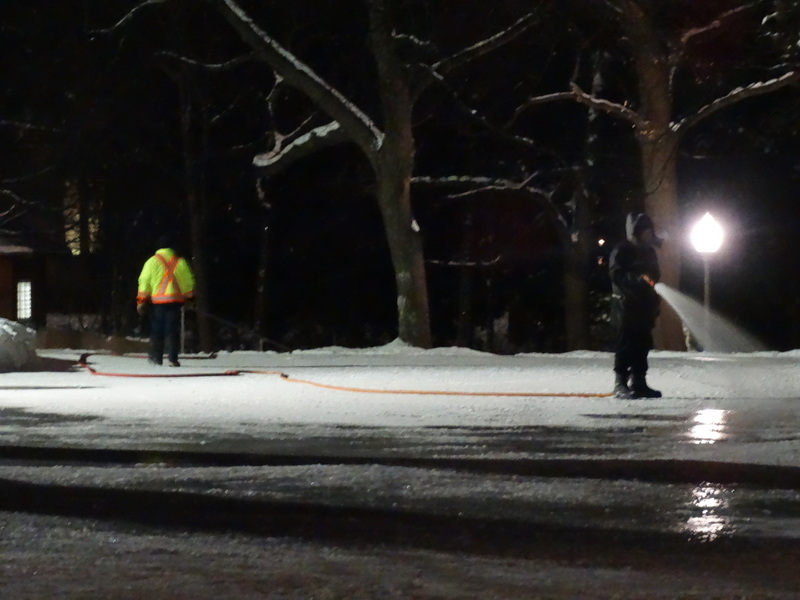 Spraying water to maintain the park’s outdoor rink. A bitterly cold job – the City workers should be commended doing this task. Those of us with children have spent many happy hours, in the summer, by the park’s wading pond. The pond itself has gone through many changes: in the 1930s it was used by the Model Yacht Club as well as the Anglers’ Club for casting practise. 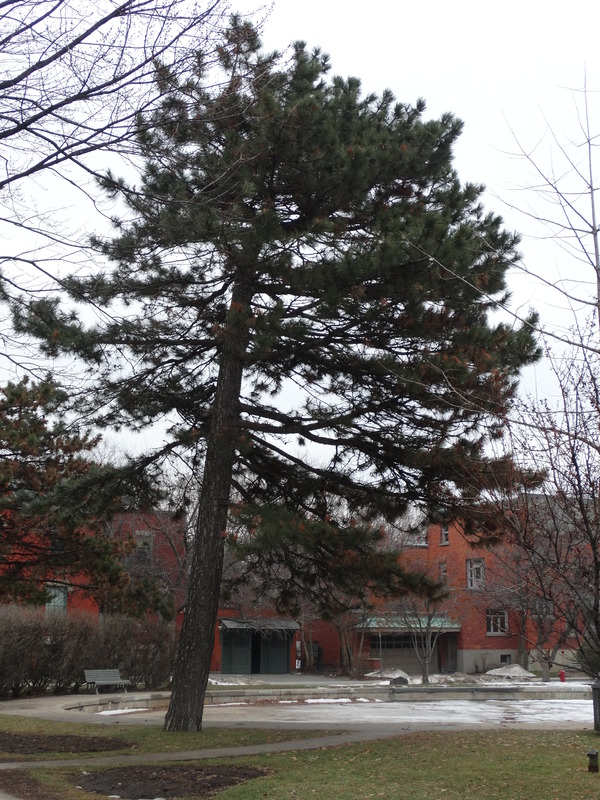 Have you noticed the Scots (or Scotch) pines (Pinus sylvestris) by the pond? They have been bearing a silent witness to all the changes that have occurred to both the park and our City over the years. Former names for this species are Riga, Norway and Mongolian pine. It is one of the easiest trees to recognize with its low branches, reddish brown scaly bark and needles comprising two per bundle. Their origins are from the Caledonian Forest that, at one point, covered 1.5 million hectares of the Highlands, Scotland. The forest is legendary in myth – a place where Merlin (of King Arthur’s kingdom) wandered in his madness lamenting the futility of war as well as a home of, as yet unnamed, mythical creatures and hermits. The Abernethy Forest National Nature Reserve contains the last remains of the Caledonian Forest. Here, the Scots pine is named “The Harp of Trees” (Clàrsach Nan Craobh) for the sounds made by the wind as it blows through the trees’ needles. The trees are long lived. In Lapland there is one that dates back to 1244 and Sweden claims one that is at least 700 years old. The Druids made bonfires with Scots pine to draw back the sun during the winter solstice. The trees were also decorated with reflective objects that represented the Divine Light – that, over time, led to our present day custom of Christmas trees. In fact, the species being able to retain their needles, accounts for over 30 percent of today’s Christmas tree market. (The Norway spruce is currently more popular). In the Highlands Scots pines were used to mark the burial places of heroes. In England they were used mark crossroads as well as the perimeters of fields. The English poet William Wordsworth describes this tree as an “enchanting tree with its often gnarled and twisted silhouette set against a winter landscape or moonlight shadows”. More recently, following a public poll, the Scots pine was chosen as the National Tree of Scotland (the Rowan was second and the Holly third). Next time you walk by the park’s wading pond patiently listen to the sounds of the tree in a breeze, and see if you agree it sounds like a Celtic Clàrsach harp. Sunrise over Westmount Park on a very cold winter morning. The only “inhabitants” were those, like us, walking their dogs. 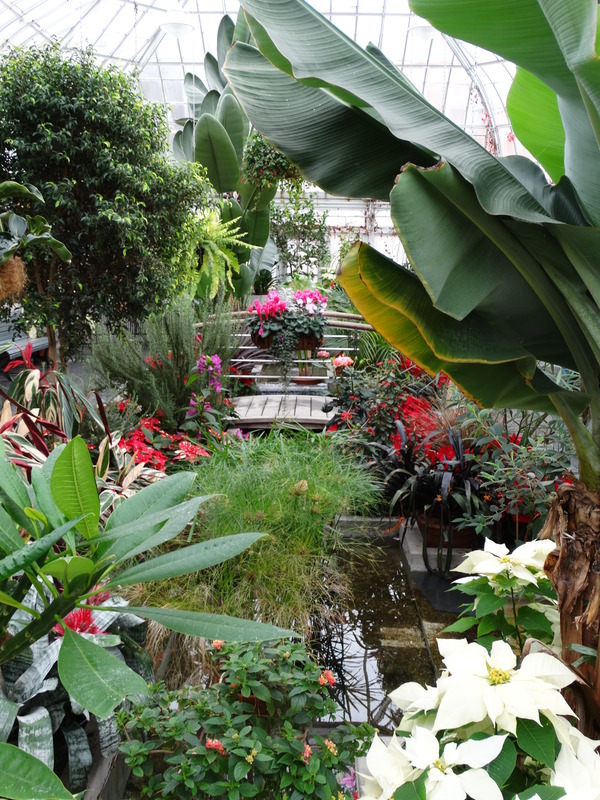 For those of us suffering from “colour deprivation” in the middle of winter a trip to Westmount’s “Conservatory” is in order. These used to be the green houses that provided the plants for Westmount’s parks. 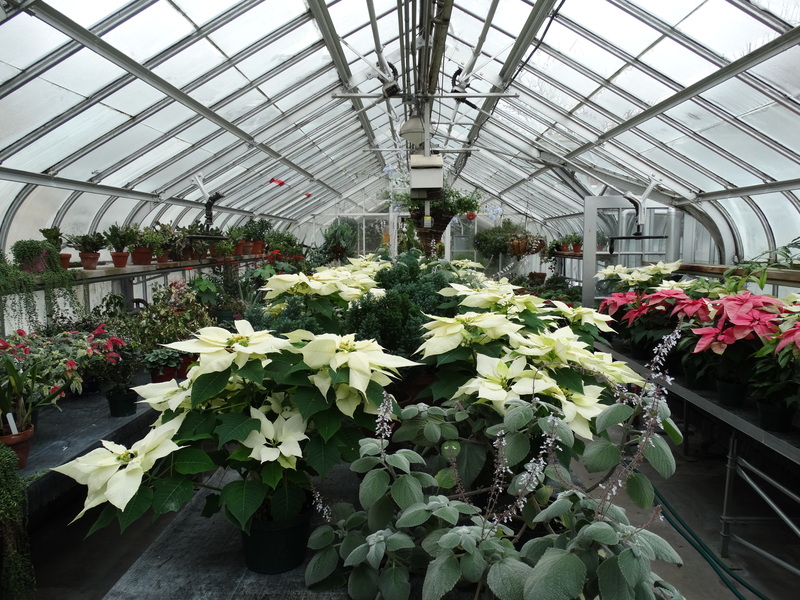 At their peak, over two dozen people were employed full-time to care for the plants. This was our visit on a Sunday afternoon. 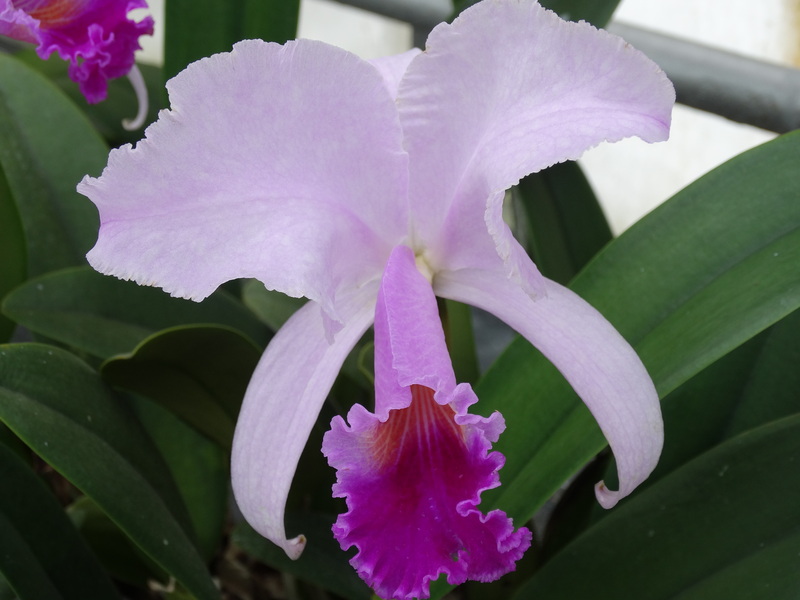 Beautiful Dendrobium orchids in bloom on a winter day. 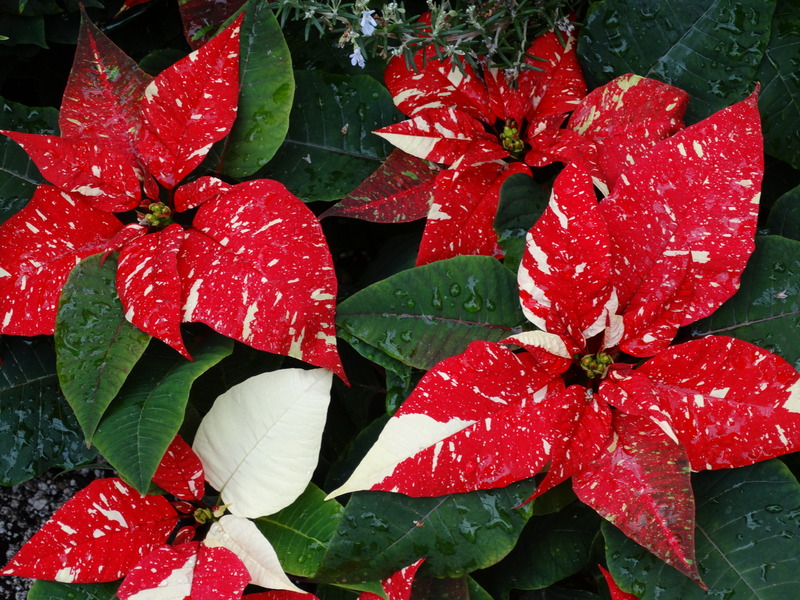 Beautiful red and white patterned Poinsettias.